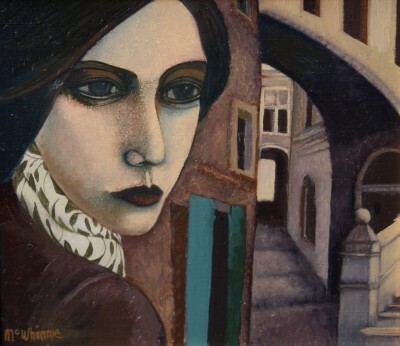 Ian McWhinnie was born in 1952 in Glasgow. 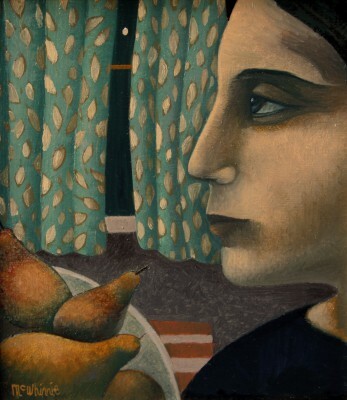 As a young artist Ian studied Drawing and Painting at the Glasgow School of Art between 1970-1974. 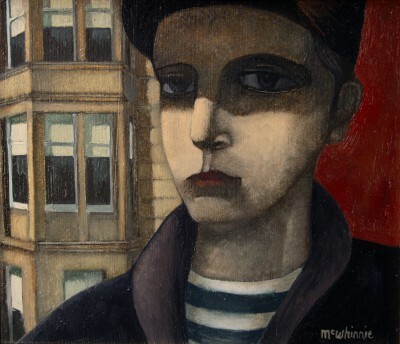 After studying painting at art school McWhinnie became an art teacher specialising in ceramics. 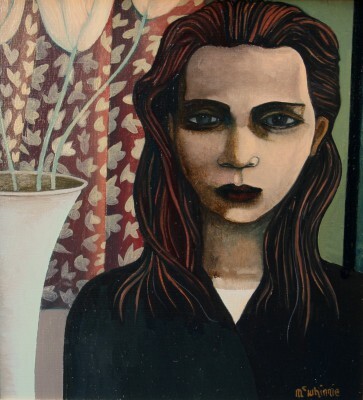 With demand for his work increasing Ian set up his own art studio workshop in 2002 producing hand-painted and wheel thrown ceramic pieces. 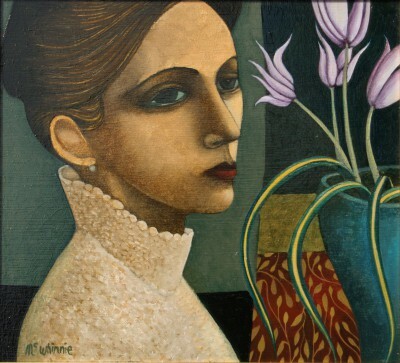 McWhinnie created very striking and distinctive designs which worked equally well as ceramics or paintings. 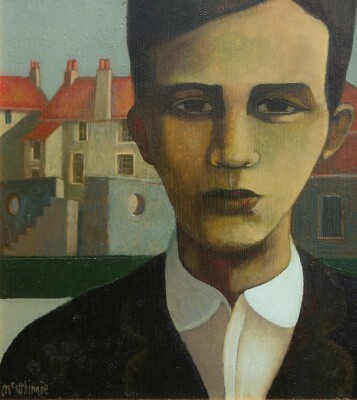 Eventually demand for paintings was so strong that he decided to focus all his energy on the brush. 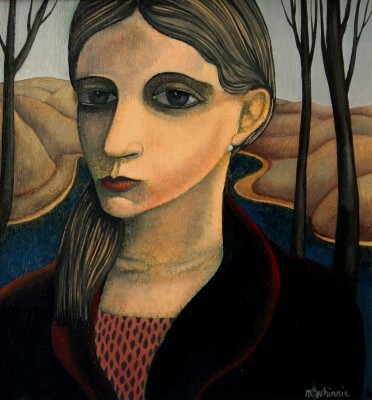 Ian McWhinnie contemporary paintings are oil on gesso board. 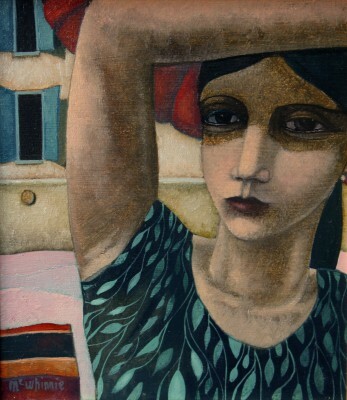 And his paintings typically display the fine detailing so necessary in ceramic art. 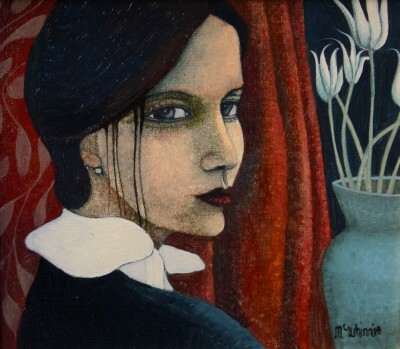 McWhinnie has been exhibiting and selling his contemporary paintings for a relatively short period of time. 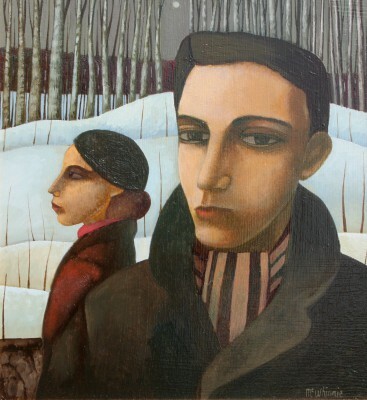 But he has already built up a strong Scottish following where his paintings are eagerly sought after and have received very favourable acclaim. 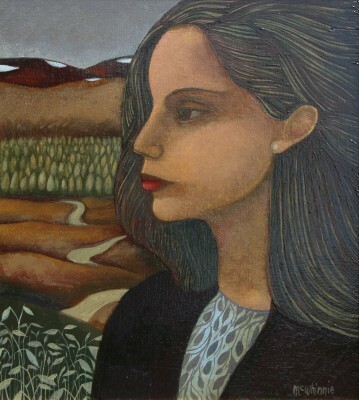 In 2006 McWhinnie was a prize winner at Paisley Art Institute Open Exhibition. 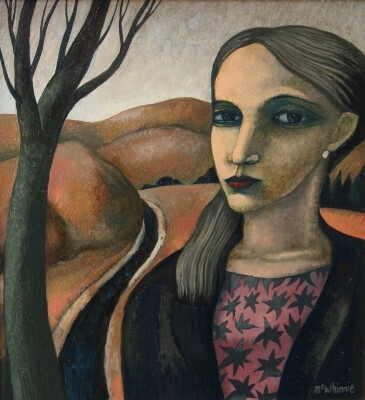 In addition to Red Rag Scottish Art Gallery Ian McWhinnie has exhibited at other leading British Art Galleries. 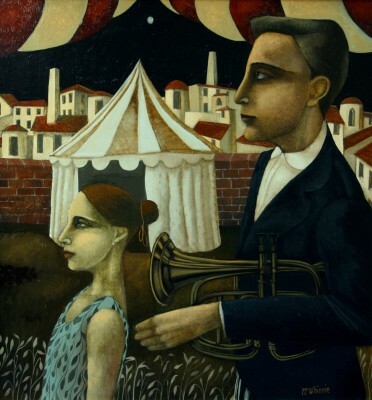 Each painting at Red Rag is sourced from the Ian McWhinnie artist studio and like all Red Rag Scottish art and Contemporary art it can be shipped worldwide.